Our Team at Fabricworm want to THANK YOU for all your loving support over these last few years by allowing you to pick your own sale! 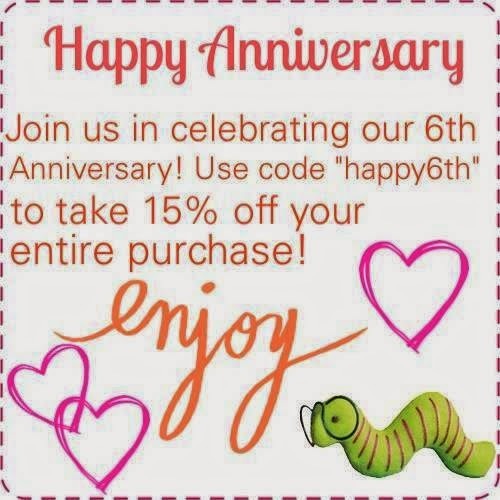 Save 15% off all purchases starting now thru June 19th, 2014 @ Midnight PST by using coupon code happy6th at checkout. Plus, we've just rolled out another Weekly Newsletter here. See the newest collections like Charley Harper for Birch Organic & Just For Fun Knits and Poplin from Birch Organic in stock now!